Tony Mokbel at Flemington Racecourse. 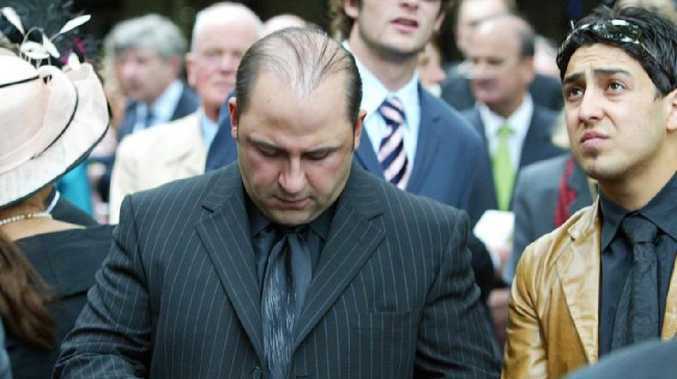 It's 2004, and Tony Mokbel is walking from the Melbourne Magistrates' Court. He's dressed in a black leather jacket but he's a wearing a smile, too, confident in the knowledge his lawyer will get him off, or perhaps plotting an elaborate plan to abscond to Greece via Bonnie Doon. Within months, she would reach a lucrative, unprecedented agreement with senior members of Victoria Police to become "Informer 3838" and turn on Mokbel and a host of other dangerous Melbourne gangland figures. 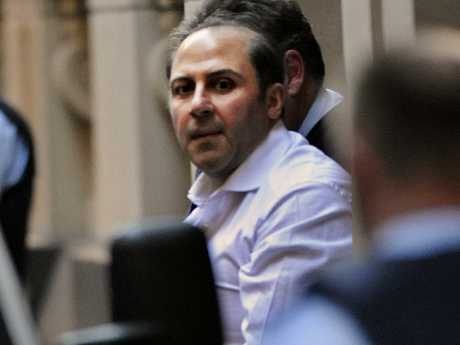 Tony Mokbel is leading a group of convicted criminals appealing their sentences. She may have entered into the agreement "willingly", as court documents suggest, but she regrets it now. 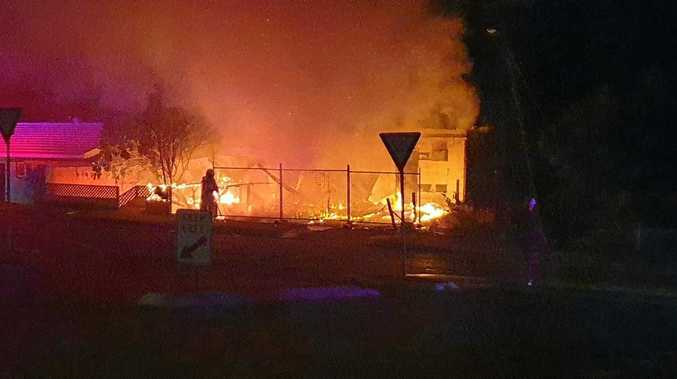 She lives in fear that those she turned against will come after her and her children, but she distrusts police to such a degree she refuses to enter witness protection. Jailed for 30 years, he wouldn't find out that Lawyer X turned on him for some time - not until both the Victorian Supreme Court and Court of Appeal upheld a ruling that the Director of Public Prosecutions could disclose the lawyer's dealings with police in a bombshell letter. 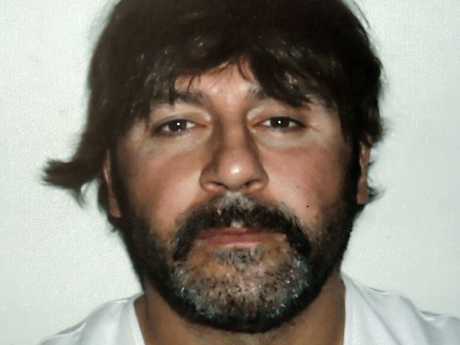 This week, 14 years after walking from court with his trusted lawyer on his hip, Mokbel is leading a group of underworld criminals as they appeal their convictions from behind bars. He's joined by Rob Karam and Pasquale Barbaro, both put away for drug-related crimes, but there are reportedly hundreds of others that Lawyer X helped put away. According to court documents she did it for a number of reasons. "So far as the facts are concerned ... (Informer 3838) had a mix of motivations for becoming an informer," the documents read. "(They include) ill health, feeling trapped in the criminal world of her clients and frustrated with the way criminals used the system." In particular, she despised Tony Mokbel, Australia's most notorious drug trafficker. "(She) wanted to be rid of Mr Mokbel and his associates," the documents read. Andrew Rule, who wrote the Underbelly books that inspired the TV series, said this week that in ridding herself of Mokbel, she was "playing both sides". "This person has taken it on herself to play both sides against the middle," he said. "She's run with the hares and hunted with the hounds. That reflects on her personality as much as anything else." Rule described her as "well-known", as having a "strong personality" and being "fairly charismatic". But what they did was, according to the High Court, was "reprehensible conduct in knowingly encouraging (Informer 3838) to do as she did". "I have accepted that I will have to continue to live with the prospect that more details may emerge publicly and, with the assistance of a clinical psychologist and a doctor, I will need to continue to manage the literally paralysing fears and uncertainty as well as heightened danger that impacts upon my existence," she wrote. "The confirmation that an extremely dangerous Italian organised crime family has learned this type of detail is nothing short of horrifying." If she had, what would that have meant for the gangland war that was playing out so violently and publicly on Melbourne's streets?